Indulge yourself! Enjoy a luxurious guest room for two, as well as a full American breakfast for two in either Lucia or in the privacy of your own room. Treat yourself to a one-night getaway in a luxurious guest room and enjoy your choice of two pampering 50-minute spa treatments and a dinner for two at Lucia Restaurant. 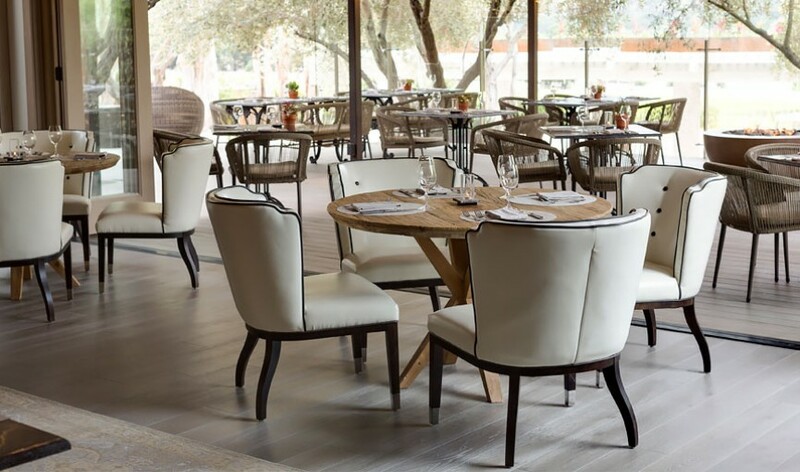 Escape to Carmel Valley to enjoy the epicurean delights of Bernardus Lodge & Spa. This one-night package includes accommodations and dinner for two at our award-winning restaurant, Lucia. Grab your friends and enjoy this two-night package at Bernardus Lodge & Spa. 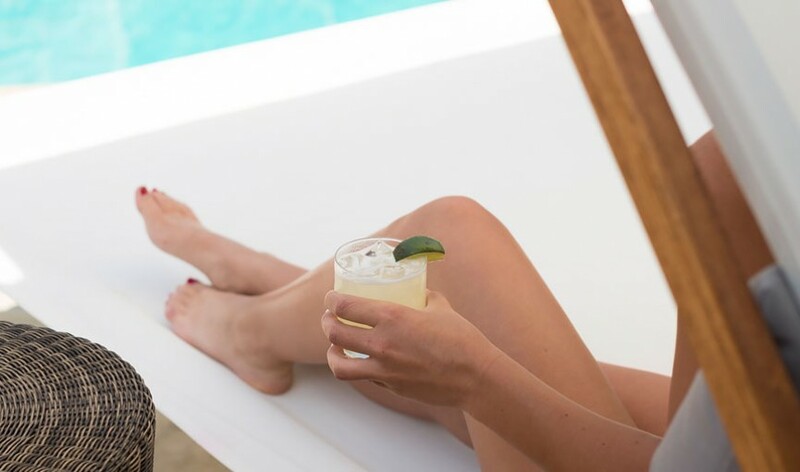 Luxurious accommodations, spa services and dining at our renowned restaurant Lucia are just a few of the luxuries you and your friends will enjoy. *Two-night minimum stay required. Package is based on two guests per accommodation, is subject to limited availability, and blackout dates may apply. Package elements are non-transferable. Exclusive of tax and gratuities. This two-night package provides the ultimate in comfort and indulgence for a romantic retreat. 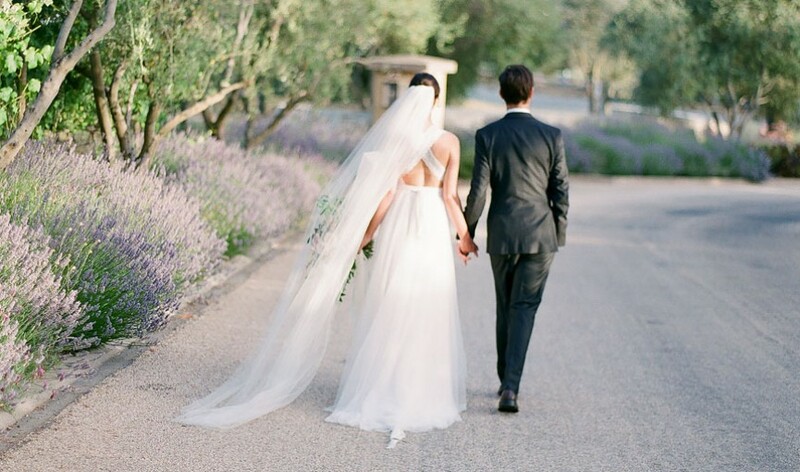 Check into deluxe accommodations and then escape to the spa to enjoy a 100-minute Vineyard Romance couple’s treatment to include a cabernet grape seed body exfoliation, followed by an alfresco lavender grape seed bath and completed with a full-body warm grape seed oil massage. Next, settle back into your room to a chocolate-and-red-wine welcome and a Dream Bath for two. Complete your getaway with a $150 dining credit that can be used at our award-winning restaurant during your stay. *Package is based on double occupancy, is subject to limited availability, and blackout dates apply. Package elements are non-transferable and exclude alcohol. Create lasting romantic memories for your honeymoon in this package that greets you with a welcome bottle of champagne, handcrafted chocolates and a specially created bottle of organic massage oil just for you. 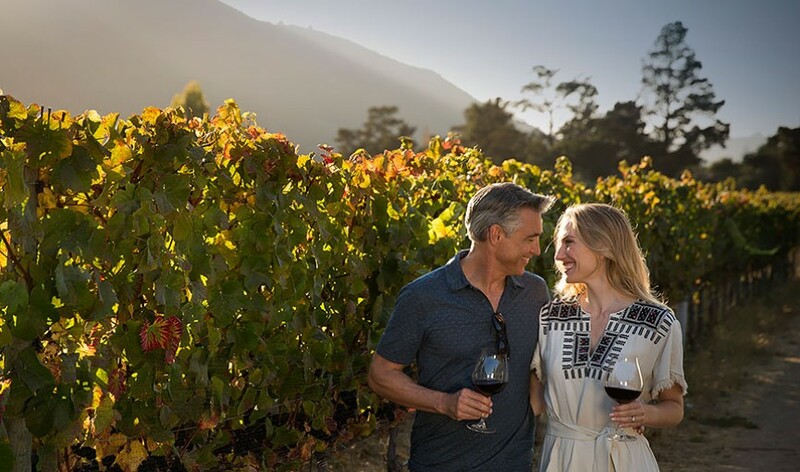 During your stay, relax in the sublime Spa at Bernardus Lodge during a 100-minute Vineyard Romance spa treatment designed for you and your sweetheart. Then head to the chef’s table of Lucia restaurant to watch a special five-course meal being created right in front of your eyes as you read inscriptions that surround you, left by celebrities such as Julia Child, Clint Eastwood, Leonardo DiCaprio and many others. The next day you will be picked up at our doorstep and will tour Carmel Valley for wine tasting, including Bernardus Winery. Finally, unwind in the privacy of your room to a romantic Dream Bath for two. A complimentary upgrade at time of booking will be provided (if available). Seven days advance notice required. * Package is based on double occupancy, is subject to limited availability, and blackout dates apply. Package elements are non-transferable, some packages include resort fee but all packages exclude tax, alcohol and gratuities. 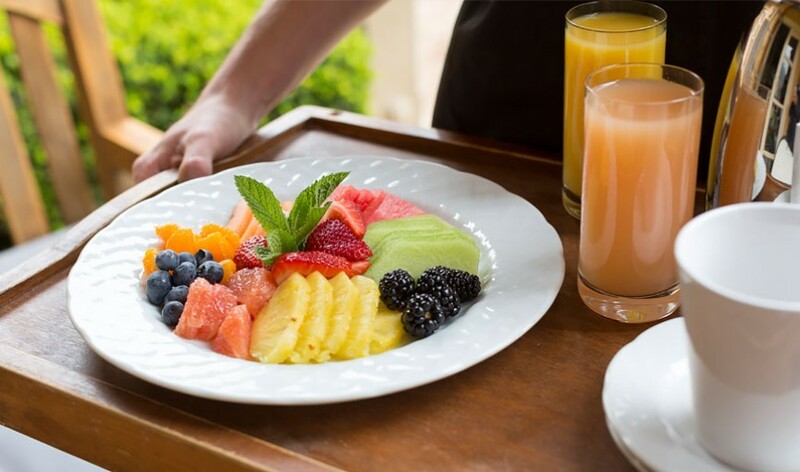 Take some extra time to calm and revitalize all of your senses at the finest resort experience in Carmel Valley with a complimentary additional night! 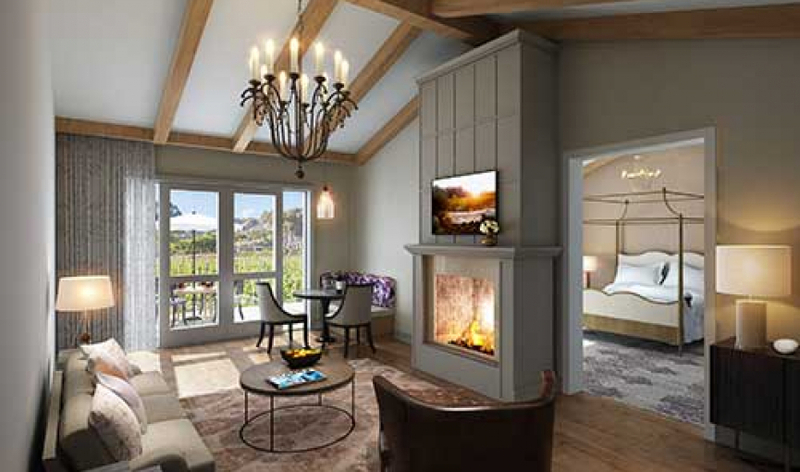 Breathe in and enjoy an added day of sun, relaxation and Carmel Valley charm at the all-new Bernardus Lodge & Spa. *Available January 1st – May 31st & November 1st – December 31st. Nightly rates for this seasonal promotion are not based on best available rates. * Available June 1st – October 31st. Nightly rates for this seasonal promotion are not based on best available rates.